Almost four weeks ago, I joined a CrossFit community with regards to try something new. Since starting my weight loss journey, I have fallen in love with weight lifting. Therefore, I have been eyeing up CrossFit for quite some time. What is CrossFit, you ask? I am still extremely new to CrossFit but I can already tell you that I am absolutely hooked and in love with it. I love the fact that I don't have to plan my workouts and that I'm going to have a gym full of people cheering me on to finish. Each person is there for their own reason and/or goal, but they are also there to be a part of a group that cares about their fitness and health. 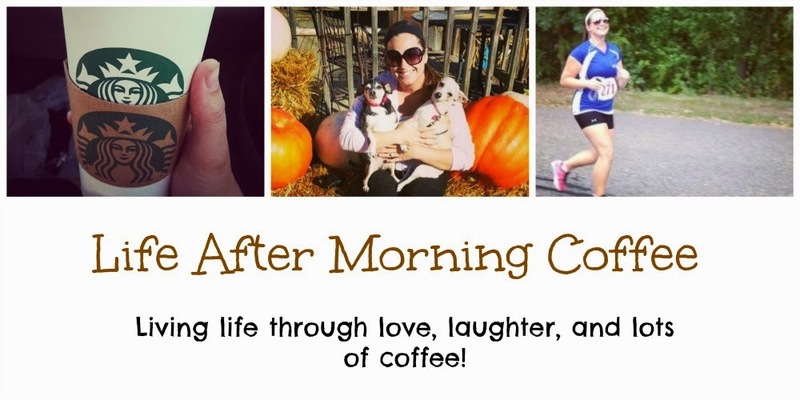 I'm still running like crazy and have at least two half-marathons planned for this summer! I'm seeing great results in my running since adding CrossFit and I'm loving the balance of running and weight lifting. When I joined my CrossFit gym, a couple of members were organizing a "Paleo Challenge". The challenge consists of a point system where each day you have the opportunity to gain points depending, for example, on how well you stick to the diet, your activity level for the day, and whether or not you get an adequate amount of sleep every night. Each person that joined the challenge had their weight and body fat percentage measured. At the end of each week, total points are recorded and at the end of the challenge, weight and body fat percentage will be remeasured. Again, I was looking to try something new, so I jumped on board, wanting to take advantage of the whole CrossFit/Paleo experience. The Paleo Diet is very popular amongst CrossFitters, however not everyone that does CrossFit follows Paleo. It's important to figure out what works for you and what gives you the best results, not what gives results to everyone else. Prior to starting the challenge, I had heard of Paleo and had been interested in doing more research on it. Joining the challenge was the perfect opportunity to give it a try and see how my body adapted. 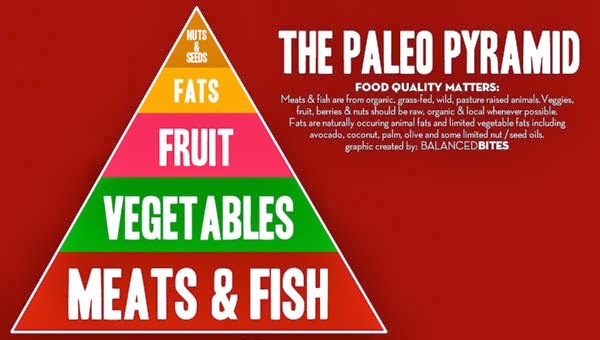 The Paleo diet includes meats, vegetables, fruits, nuts and seeds and eliminates dairy, grains, and legumes. As with any diet though, there are variations where some food products, such as dairy, are slowly introduced back into the diet. I followed a fairly clean diet prior to starting the challenge, so it wasn't a drastic change for me. The Paleo Diet revolves around the diet that our ancestors followed (in the Paleolithic era) prior to drive thru windows, grocery stores, mass production, preservatives, and just all around convenience. Today, especially in America, we are obsessed with convenience. We will do whatever it takes to get the most amount of work done in the least amount of time, without using any energy. Back in the Paleolithic era, things were much different. The Paleo Diet is called the "caveman diet" because our ancestors had to actually hunt and gather all food and supplies. Today, we walk the few yards out to our car, circle around a parking lot to find the closest parking spot, go down numerous aisles filled with "food", then drive home to eat it. Many people don't even exert energy to cook their food. Now we can pop a container of preservative-filled "food" into the microwave for a few minutes and have a meal (that your body probably doesn't know how to digest properly). The Paleo diet focuses on food that is naturally grown and food that our bodies have been eating forever. Now, let me be completely honest with you. After almost four weeks of following this diet, I haven't seen crazy results. And again, being honest, I probably won't continue to follow the Paleo diet 100% for the rest of my life. Let's be realistic. I'm continuing to follow the diet 100% for now to not only finish the challenge and see if there are results in the end, but also because of all the simple and logical explanations behind it. I graduated college with a Bachelors in Biology, so it's easy for me to get excited about a diet that has many studies backing up its philosophy. There are so many aspects of this diet that I will continue to follow. However, post-challenge I will not beat myself up for having that "bad day at work beer" or "I feel sick to my stomach toast and ginger ale" or "that time of the month pizza". I cannot stress enough that you need to listen to your body and mind. I have high hopes of following Paleo "80/20" in order to maintain my weight loss and better my health, yet enjoy life instead of constantly worrying about my diet. This is where the common diet term comes in: moderation. 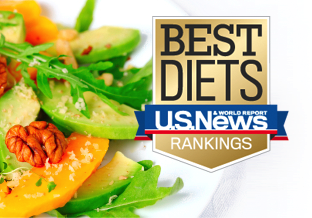 The U.S. News and World Report just ranked the Paleo Diet dead last on their annual list of "Best Diets". I can think of many reasons why they did and honestly can agree on some level with them. This diet list will be seen by millions of people looking for the hottest and best diet around that (convenience strikes again) will help them lose the most weight in the least amount of time. As many of you know, I was very overweight my entire life. If I would have started out with something as drastic as the Paleo diet, I would have failed miserably. Diets such as Weight Watchers and The Mayo Clinic Diet starts with key habits such as portion control, label reading, learning food groups, etc. It's important to take one thing at a time since eliminating foods, drinking more water, counting calories, and increasing exercise - and a million other things - can be extremely overwhelming when trying to tackle everything at once. I also think that the Paleo diet is so far from what we've been taught to believe, that it's difficult to wrap our head around it. Wait, fat is good for you? Grains does take up the biggest and most important food group? Cholesterol isn't such a bad thing? I can eat bacon and not feel bad about it?! There are so many diets and exercise programs out there that obviously differ in hundreds of ways, which is why weight loss is so daunting and nearly impossible to so many people. That's why I believe that knowledge is power. If you want to create change, you need to take matters into your own hands and learn what's best for your body, depending on your goals, not anyone else's. Just because I'm following the Paleo diet right now, does not mean that I expect everyone else to. Even with how much I support this diet and find the information fascinating, I haven't asked Terry to give up grains or dairy or asked him to join me at CrossFit. While I would absolutely love for him to fall in love with exercise and eat a healthy diet, I can only be in control of my own goals. You need to want it for yourself... no one else can do it for you. The best thing you can do for yourself is listen to YOUR body and YOUR mind instead of relying on other people or organizations (including the food pyramid and commercials stating that you need so many glasses of milk a day and that you need to eat Cheerios to lower your cholesterol... or heck, just take a pill for all of those things) to tell you what's best for you. Get proactive about life. Learn about the ingredients you can't pronounce on your food labels and how your body reacts to them, find a workout that you actually enjoy doing every day and one that challenges you, and make goals. When you reach that goal, make another one! So that's why I decided to join CrossFit and take on the Paleo Challenge. I see this as a learning opportunity, not a diet. I'm done with diets. I'm all for opportunities to learn more about my body and what I can do to live a long and healthy life. I want to stop being brain-washed and stop masking symptoms with pills and quick-fixes. I want to stop the symptoms by stopping the problems and I strongly believe that we can do that through diet, exercise, and reducing environmental factors like stress.